Solid beech frame with dark walnut finish. 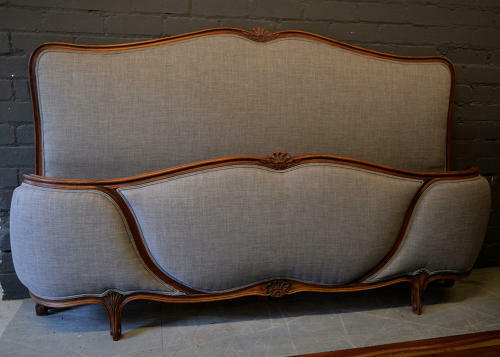 Newly reupholstered in mid grey with double piped edging. Newly fitted with wooden slats and centre bar ready to take a mattress.